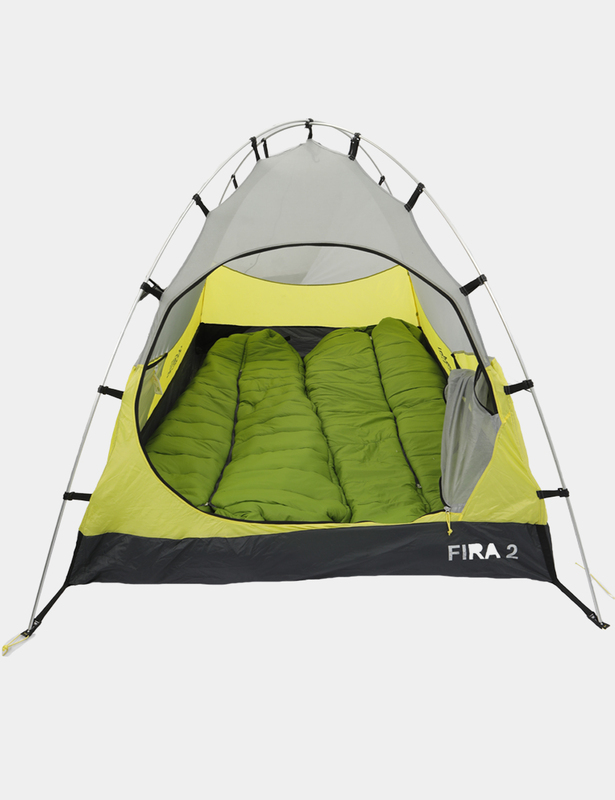 Fira series of tents are designed for 3-season usage. 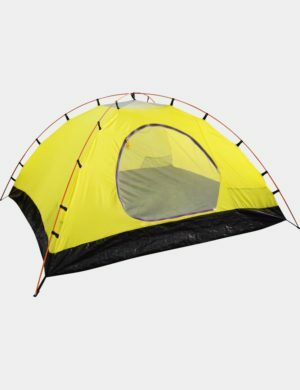 If you are looking for a high-quality light-weight tent with self-contained stability and 3-season weather-proofness, this is your tent. 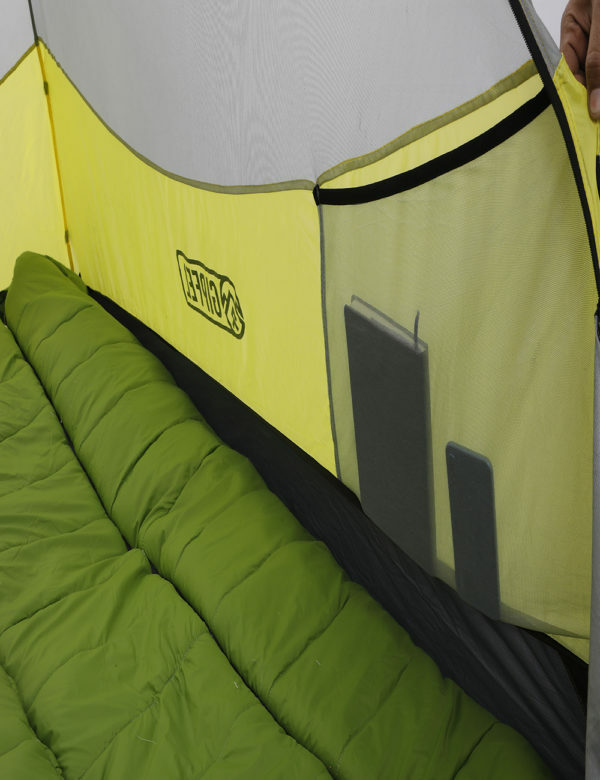 The interiors of this tent are ample for two persons. The tent is built to withstand heavy downpours of rain and even snow. 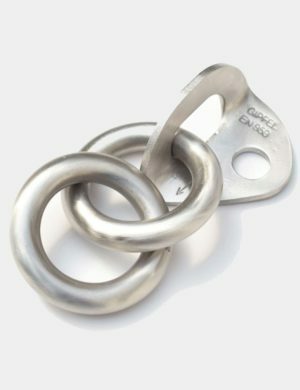 It features patented Jake’s foot attachments and our ring tensioners. I have taken it out for an overnight camping in a mild drizzle and plummeting temperatures. 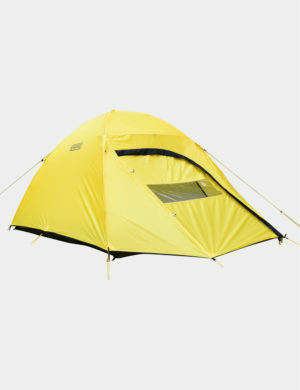 I was surprised by the light-weight and compact dimensions of the tent. It barely made any difference to the weight of the backpack. 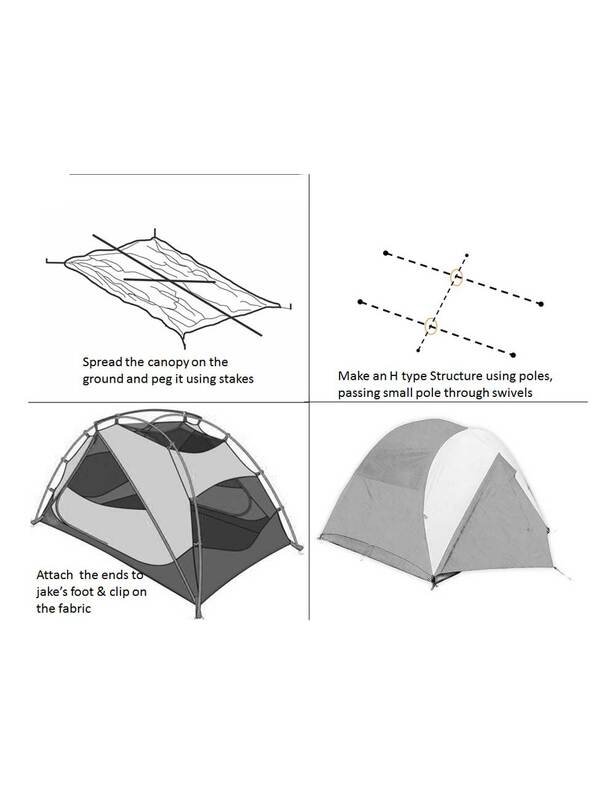 Setting up the tent was a breeze; it was smooth, quick, and once set up, it is stable even without pegs. The poles felt very sturdy and confidence-inspiring. 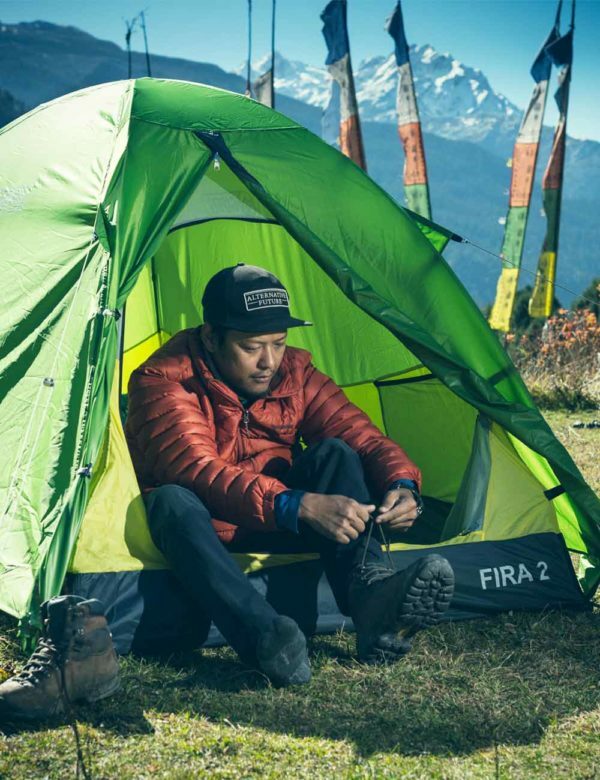 I am looking forward to using it on my expeditions and other exploratory treks, where weight, reliability, and dimensions become critical factors for selecting a product. Thanks a ton Gipfel Team! 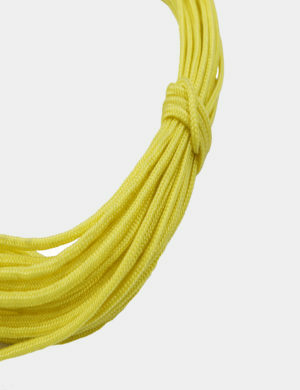 Look forward to seeing many more mountaineering products from you. 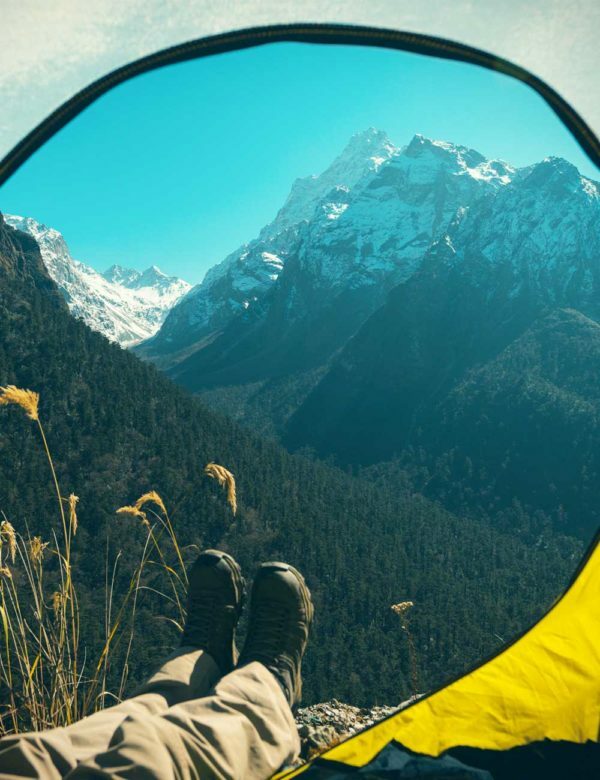 Easily the best tent in India! 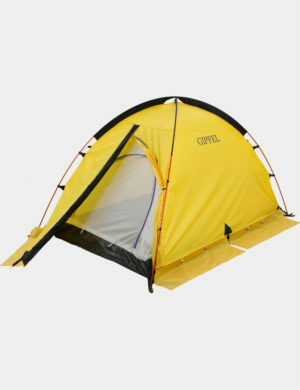 Earlier this year, I urgently needed a tent for my moto-camping expedition. 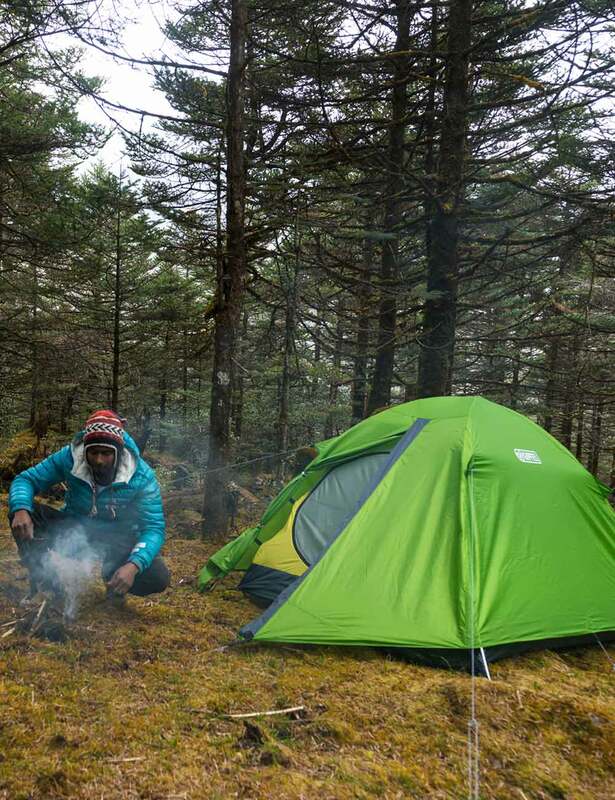 The last tent I was using was North Face Talus 2, which was a rather nice hybrid tent for camping, and relatively lightweight. 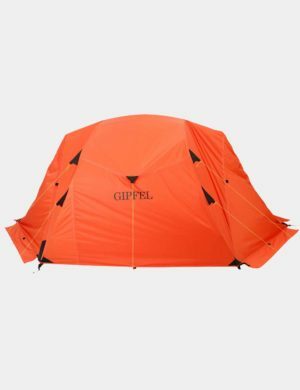 So while shopping for a comparable tent in India, to replace, I came across Gipfel Tents. With limited reviews, I was sceptical at first. 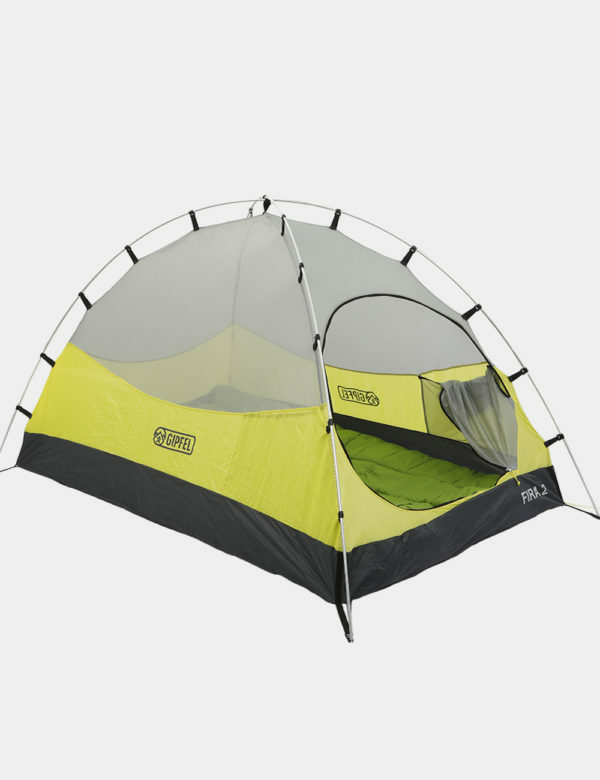 I decided to give it a go, because it was at half the cost of comparable tents in US. 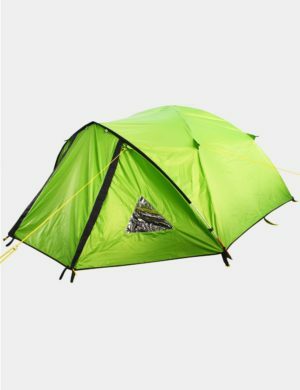 To be honest, I am blown away by the quality of this tent. 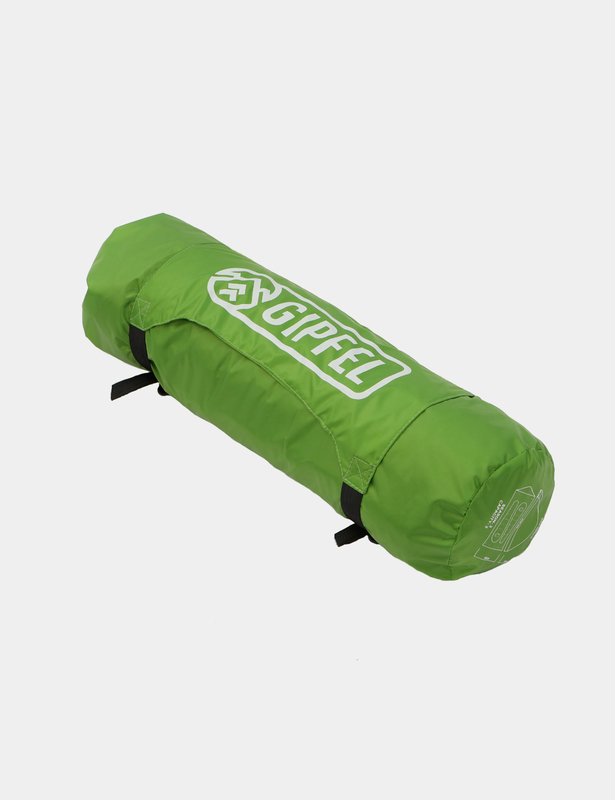 I have ridden a few thousand kilometers, with this strapped to my pack, or inside, spent over 20 nights inside. – Quality of customer service from Gipfel folks is incredible. – The setup is a breeze. Easy to setup and easy to take down. The setup features are so intelligent; so next level stuff. 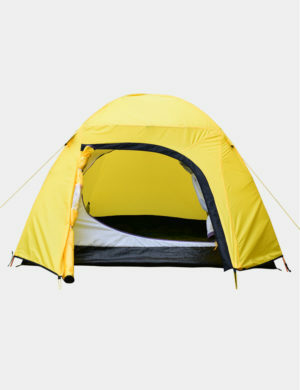 — While, I have used this for self, largely, the tent is spacious for two people. I am six foot one, and I can sit up in this, without feeling it being tight. 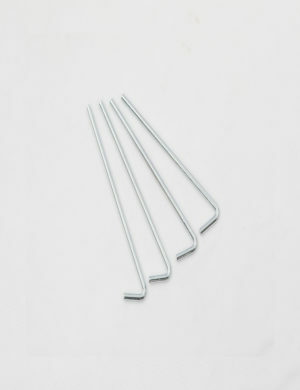 – Lightweight enough for the price point. Without breaking the bank, the quality is superb! And the tent packs down to probably to less than 10-litre space. – The stability. Incredible. Compared to Talus 2 (which is a different design). 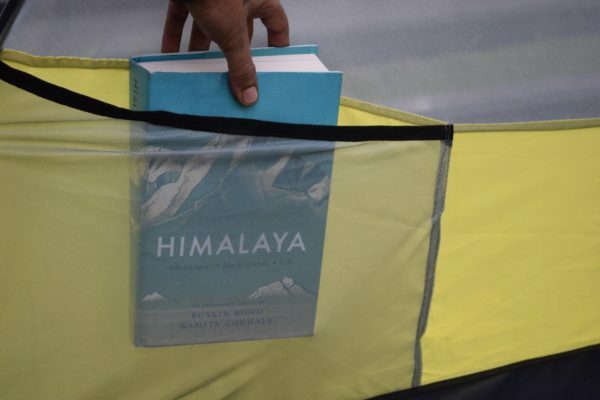 – I have only been through light drizzle so far, but I feel this tent will hold up. 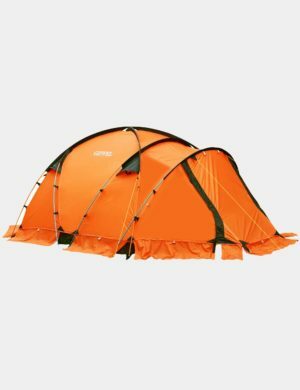 – Lastly, a nice looking tent, and a head-turner for sure. – Pricing! 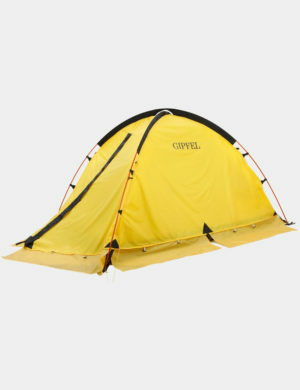 Comparable tents would have costed me 200-dollars for sure! 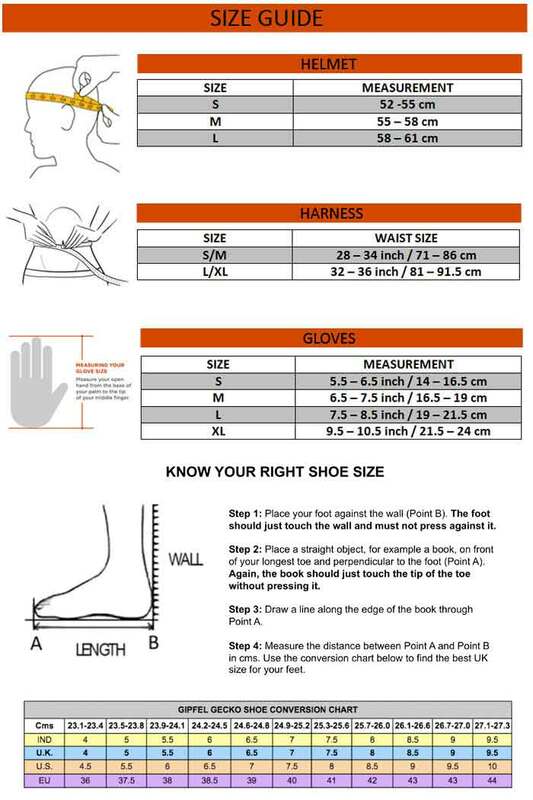 – Wish could be lighter than the 2.3 kgs. But at the price point, I am not complaining. 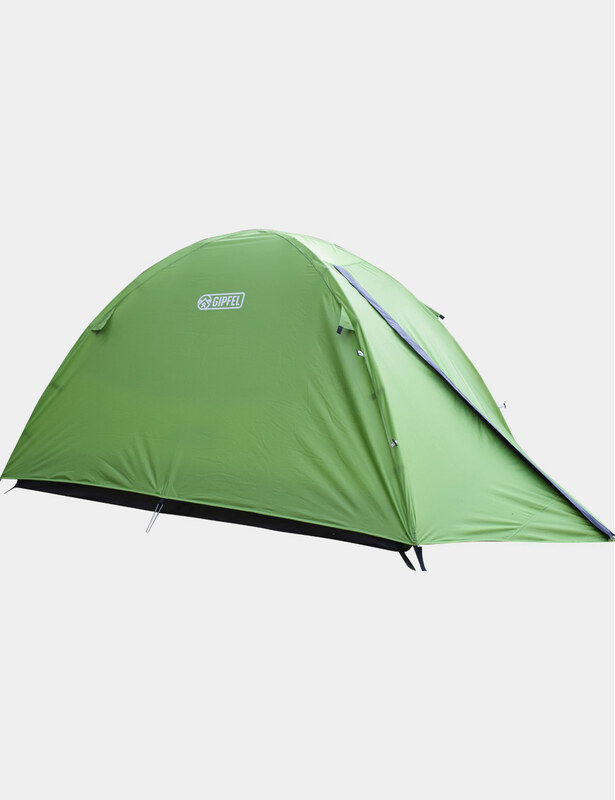 Four-person, three-season tent, inner-first hybrid dome tent. 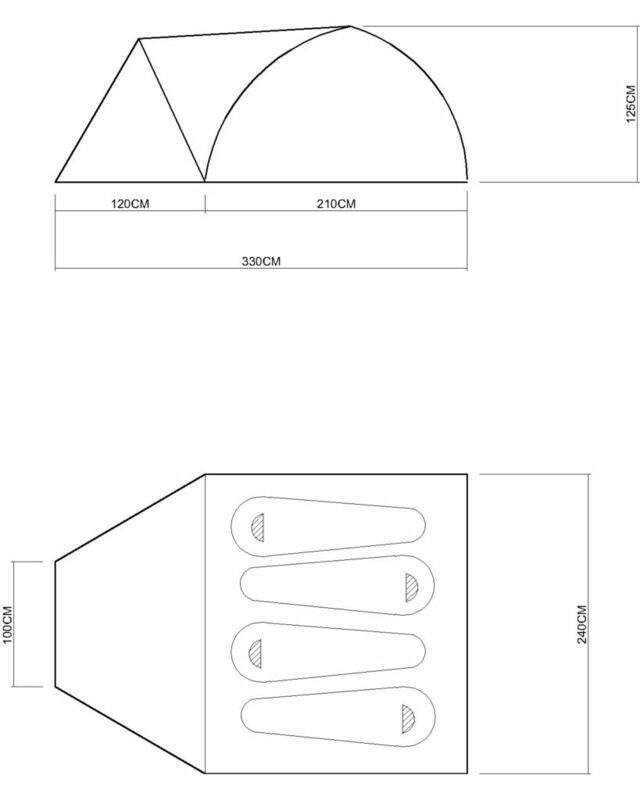 UFO 4 is our personal favourite because of it’s exceptionally large head room and leg space. You can easily fit in 4 people, and still have enough room to stand and stretch, owing to its Arc and Ridge construction. 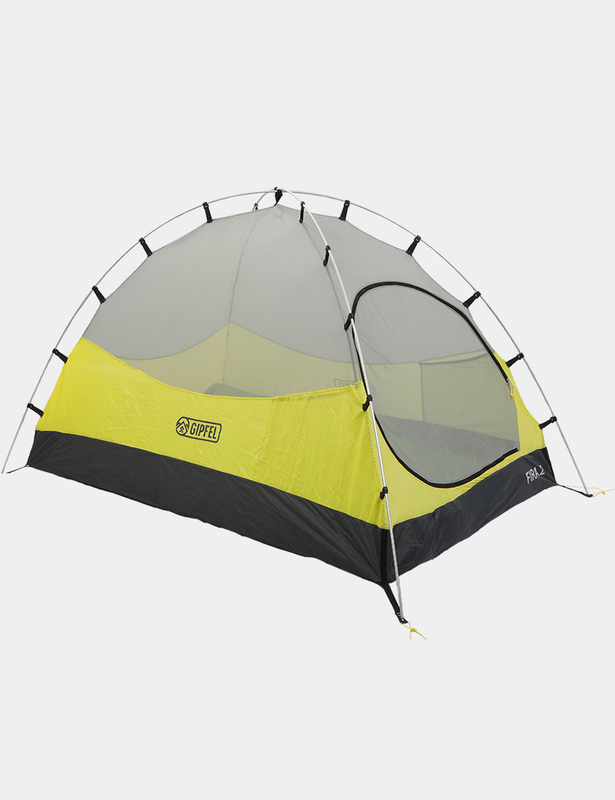 The canopy is mostly Polyester no-see-thru-um mesh for excellent ventilation. Two doors and two equally large vestibules boasts of a large space to stow your backpacks and shoes away. 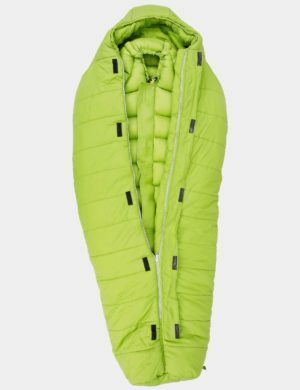 Additionally, it has four large pockets. 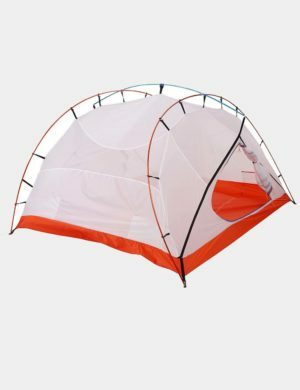 This tent features patented Jake’s foot attachment to connect poles to the ground sheet. The wind-guards on the outer rain fly acts as a barrier for cold winds and elements. 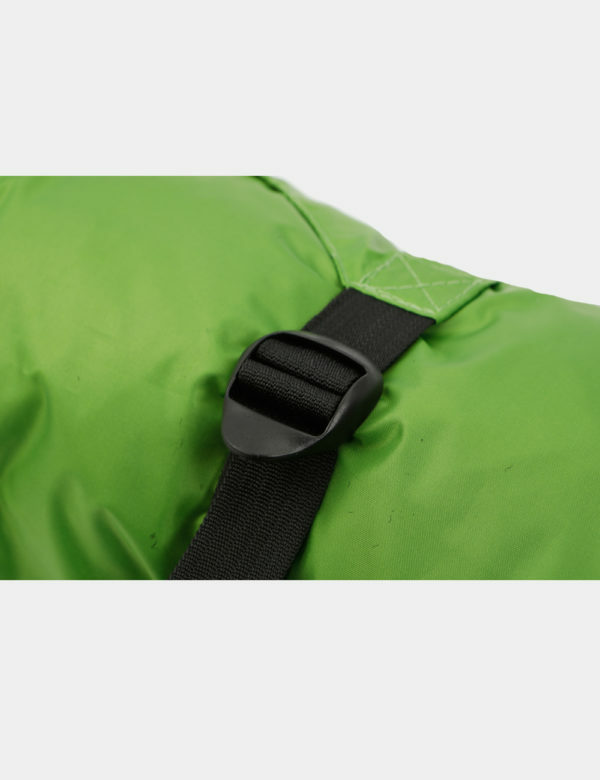 Zippers are specially developed for these tents with the help of the world’s best YKK®. 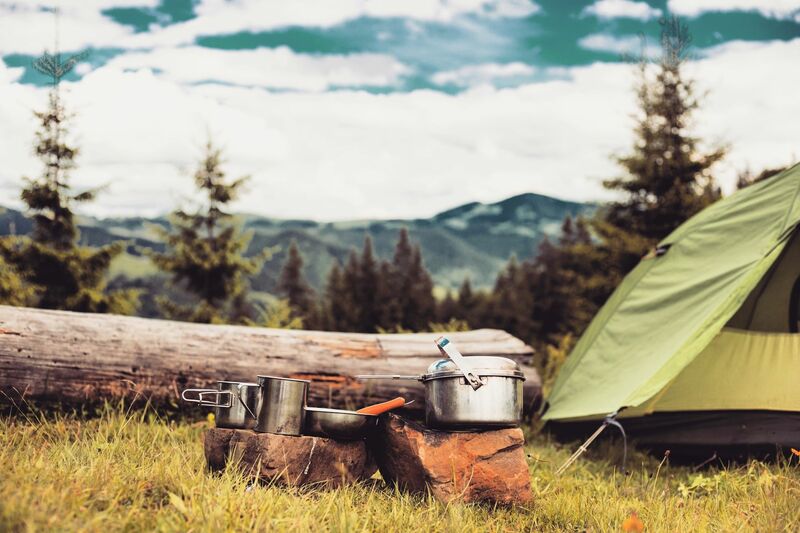 UFO 4 is an excellent choice for anyone wanting a tent that is exceptionally sturdy yet relatively light in weight, that will work for any situation, and that will handle many years of use. Two-person, three-season, outer-first dome tent. Lupus 2 is our most economical 2 persons and 3 seasons tent (we suggest 3 seasons usage but its construction enables it to be occasionally used as an all seasons tent with moderate snow). 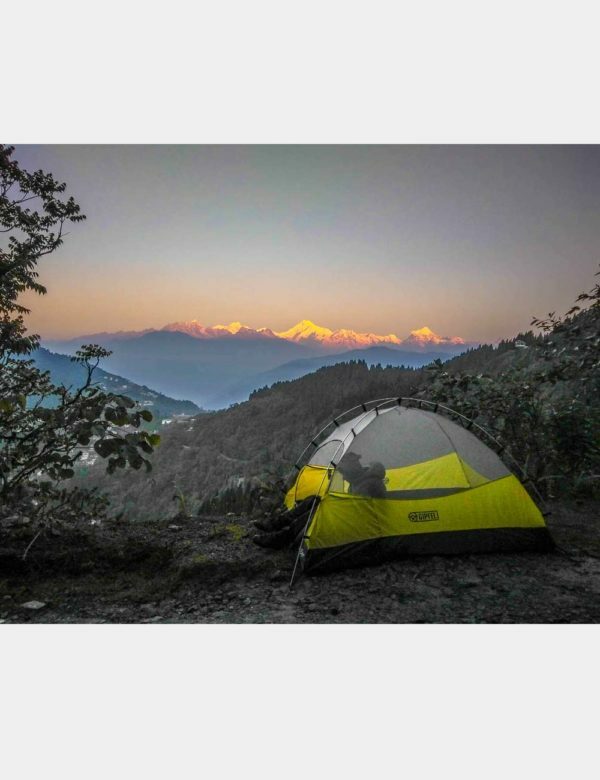 While it is economically priced it does not compromise on the quality at all because all our tents are made from same Aluminium poles, Japanese zippers and textiles. It is the simplistic design and single door-single vestibule construction that makes it economical. 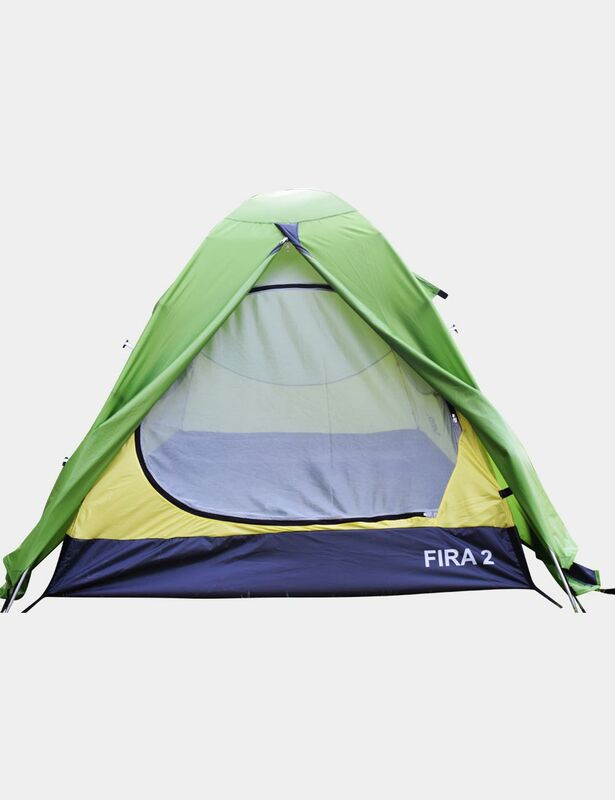 This is an outer-first tent in which the outer rain-fly and inner tent are connected together using a suspension system. Fira series of tents are designed for 3-season usage. The interiors of this tent are expansive and airy. 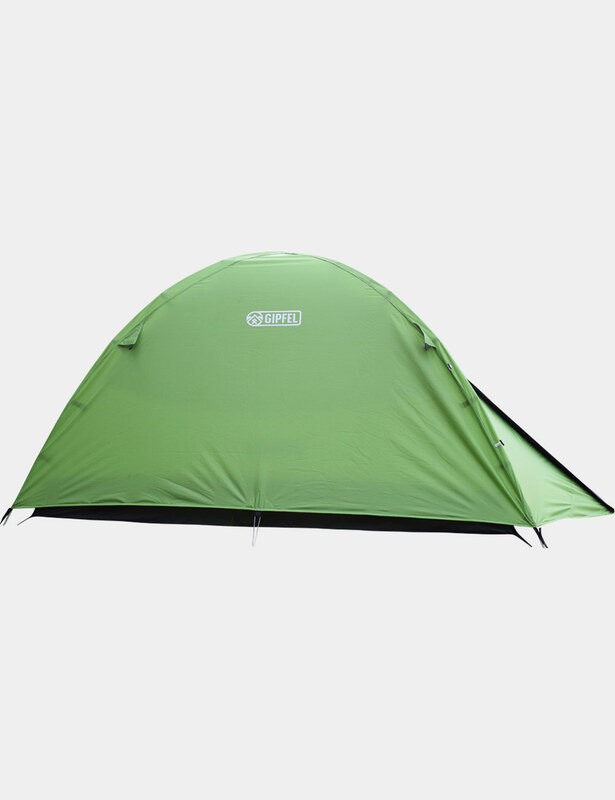 The tent is built to withstand heavy downpours of rain and even snow. It features patented Jake’s foot attachments and our ring tensioners.